Perfectly sharpened pencils are all lined up in a row on this Striped and Spotted Pencils Border! 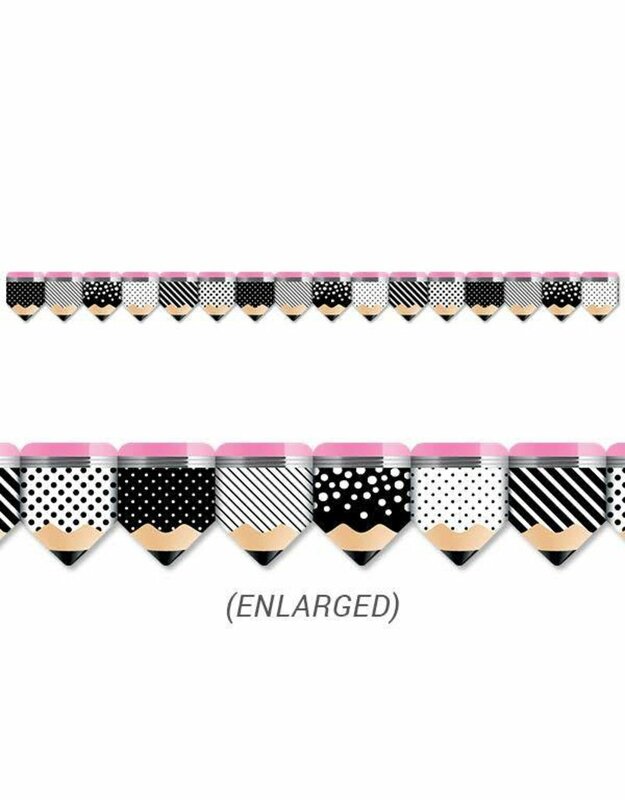 The simple black and white colors along with contrasting stripes and spots give these pencils a modern charm sure to trim any bulletin board or school display in style. Great for use in the classroom, hallway, office, teacher's lounge, and more! 35 feet per package Width: 2¾"